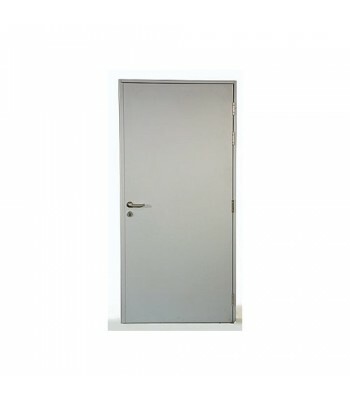 Thickness of door panel – 1.2mm thick zintec steel. Double rebated door leaf 45mm thick. 3 Anti jemmy bolts fitted to door leaf and frame. Door leaf filled with high density non-inflammable rock wool insulation. 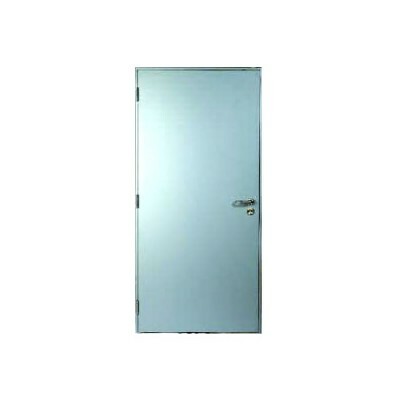 Door leaf supplied with polythene film on both sides for protection during installation. Fully welded double rebated outer frame in 2mm thick steel. 3 fixing points on each side with adjustable jacking points. Stainless steel threshold 12mm high. Supplied complete with door leaf mounted in frame. Full installation kit and rubber seals supplied as standard. 12 Point multi locking system. 3 stainless steel dogbolt hinges. Indsependent Thumbturn with standard british Euro Cylinder Lock.